It’s amazing how fast the weeks have gone by. I have been working out for a solid month and a half and getting results. Since I started working out with FitnessBuilder I have lost a total of 8 lbs, my cardio, stamina and strength have improved. Now my next challenge is my diet. Working out is crucial to losing weight but diet plays a huge role in the get fit equation. This week I will be blogging about what I am eating. Click here to read about how much sugar should be in your daily diet. This week I am doing core workouts and some body building FB style. Check out today’s exercise and routine. 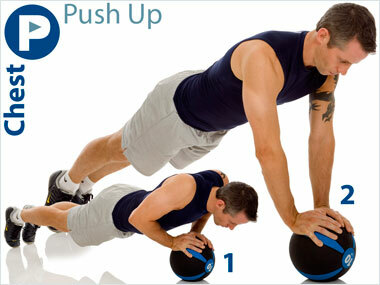 Exercise of the Day: Push Up (Medicine Ball). 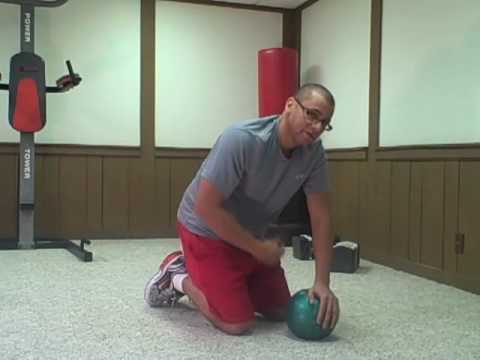 If you don’t have a medicine ball get one it can help liven up your routine and put a twist on traditional exercises.